Oh so sorry I didn’t know you didn’t have a camera. Yes, it is still there. Sorry to have bothered you. I was reading that in the Bay Area the clouds cleared away just in time for the total eclipse. Did you get to see it? I hope so! No, I’m actually in Daly City which is next to San Francisco and the clouds didn’t clear until 11 pm. 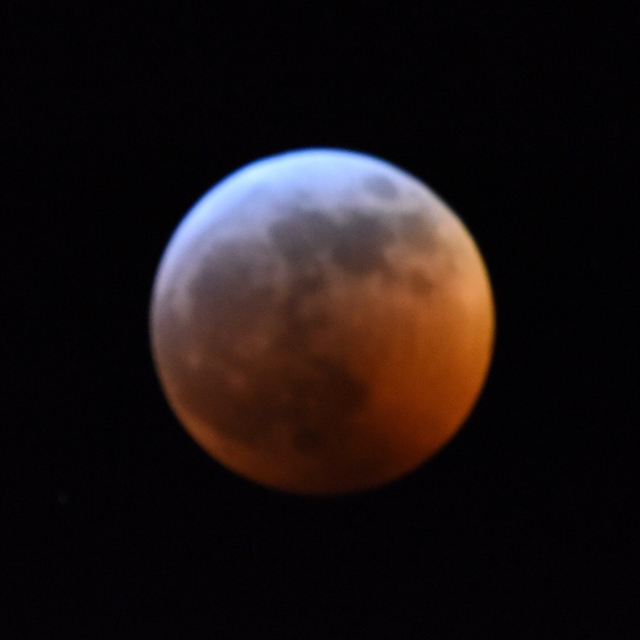 But a photographer friend in the city did get a shot of the blood wolf moon that was spectacular. I’ve been ill and just couldn’t go out. We have many micro climates here. It can be raining at one place and 5 minutes away it can be sunny. Aw the life in the Bay Area. Arlo, thanks so much for indulging the moon child in us. That’s a spectacularly clear shot. I bow to you sir. 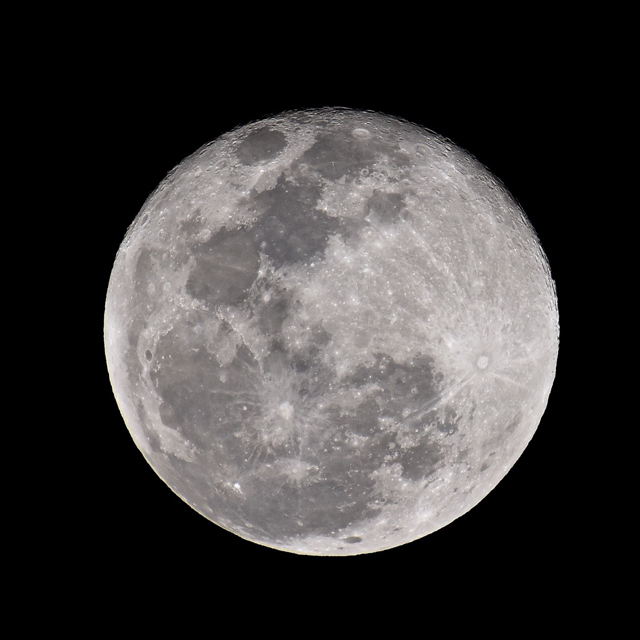 I used a filter to help distinguish the lunar features. I usually only use it when I want to bring out flesh tones but even with no actual flesh it sometimes helps. Especially useful when it’s muddy or dark. Like the picture you linked to. Here’s a good one without any filters. Oops maybe be smiley faces don’t work here. Arlo, I have a question please. What music do you listen to when at home? Just wondering. I listen to quite a variety of music. A bit of everything I suppose. I recently started listening to more Spanish and concert guitar stuff especially a guy called Juanjo Dominguez. Beautiful Spanish guitar but also does some Beatles stuff. Another is the Gypsy Kings. Thanks ahead of time for a response. Oh and of course I listen to you a whole bunch. I keep the new age space kinda music on for the house and the plants outside.